A new study by University of Copenhagen, Denmark, suggests that the status of DHA Omega-3 fatty acids were associated with the increased levels of IGF-1, a hormone that plays a key role in childhood growth and the primary target of the growth hormone. Nutri-Med Logic Corp adds that there is a clear distinction between the different roles of Omega-3 and IGF-1 in adolescent boys or adults. A dose-response analyses that consisted of seventy-eight randomly selected healthy, but slightly overweight, boys revealed a positive association between changes in DHA Omega-3 fatty acids and IGF-1, a primary target of growth hormone. Nutri-Med Logic Corp adds that since IGF-1 is adversely associated with prostate health of adult males, clear distinction needs to be made on the different beneficial roles of Omega-3 on IGF-1 and the different stages of life. A recent study by Harvard School of Medicine also found an association between DHA Omega-3 fatty acids and growth. The study by Harvard titled “Surprising findings on omega-3 fats, trans fats, and prostate cancer risk,” suggests that men with the highest levels of DHA Omega-3 fatty acids were 2.5 times more likely to have developed aggressive, high-grade prostate cancer over a seven-year period compared with men who had the lowest levels of DHA. While more growth in healthy adolescent boys is good news, any improper growth in men with prostate problems is not. However, there is clear distinction in the different beneficial roles of Omega-3 in promoting or preventing IGF-1, in different stages of life. Additionally, another recent study by Department of Medicine, University of Texas Health Science Center at San Antonio, San Antonio, Texas, on the role of Omega-3 and IGF-1 receptor signaling, suggests that the Omega-3 fatty acids were able to prevent progression of LNCaP cells (prostate adenocarcinoma) while the omega-6 fatty acid actually promoted cell growth under conditions of hormone depletion. Nutr Cancer. 2011;63(5):771-7. The University of Texas study further suggests that the fatty acids of Omega-6 (a pro-inflammatory polyunsaturated fatty acids found in most food, especially red meat) indeed exacerbates the prostatic condition. 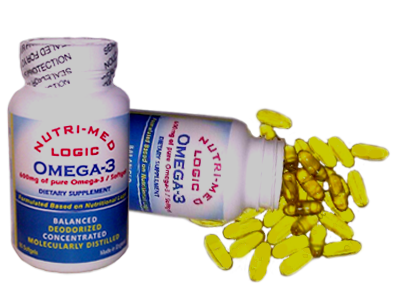 The health benefits of proper Omge-3 supplementation in prostatic conditions emanates from EPA Omega-3 fatty acids, which produces anti-inflammatory prostaglandins series 3, a prudent way to reduce the excessive levels of Omega-6 and that is good news for those with prostatic conditions. While the jury is still out on the DHA Omega-3 fatty acids and those with the prostate problems, the EPA Omega-3 fatty acids has shown positive and acceptable results. Additionally, while the excessive intake of DHA Omega-3 fatty acids may not be favorable for those with prostatic problems, for the growing young boys, the role DHA Omega-3 fatty acids and its proper intake, in bone growth, has shown positive and acceptable results. In conclusion, Nutri-Med Logic Corp agrees with this study and adds in order to achieve ideal benefits of Omega-3, its over supplementation must be avoided, irrespective of the age group. 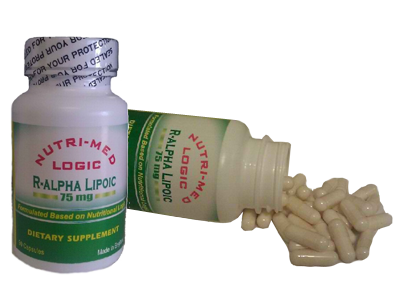 Nutri-Med Logic Corp, further, adds that due to the different beneficial properties of EPA and DHA Omnega-3 fatty acids, at the different life stages, a “Balanced Omega-3” is the most prudent choice.